The Northern Line by Dominic Stevenson, Winter Goose Publishing © 2015. The Northern Line isn’t just a way of getting from A to B inside the walls of London. It’s a journey itself, a way of life. Dominic Stevenson’s debut poetry collection The Northern Line, is at times earnest and cajoling, caustic and indignant but running through it all is a vulnerability that makes it sing. You could read it in one sitting, as if you’re listening to a close friend in intimate conversation on a train journey home. If you’d like your faith restored in the role of poetry in the modern world, then this collection is a good place to start. I asked Dominic what led him to the title and concept of the book. 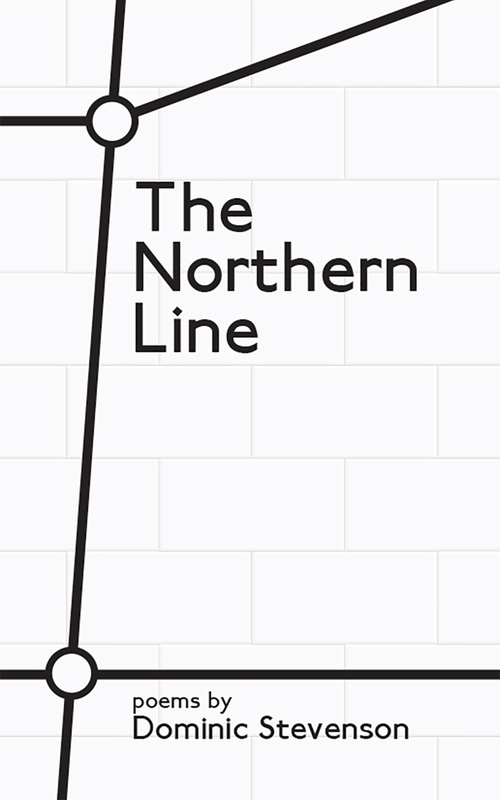 The Northern Line, by Dominic Stevenson, Winter Goose Publishing, 2015. You can find out more about Dominic here and follow him on Twitter. Ruth McKee is a copyeditor and writer, and creator of Spontaneity. Joint winner of The Irish Novel Fair 2015, she has short fiction in The Bohemyth, The Incubator and elsewhere. Shortlisted for The Francis MacManus short story prize, longlisted RTE/Penguin Short Story Competition. PhD Trinity College Dublin. Contact editor@spontaneity.org Follow her on Twitter.